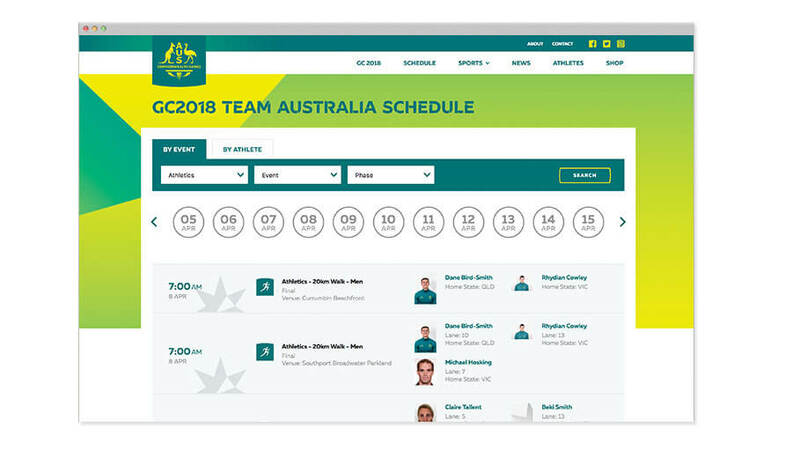 Commonwealth Games Australia (CGA) approached Digital Thing to evaluate and provide recommendations on improving the performance and user experience. 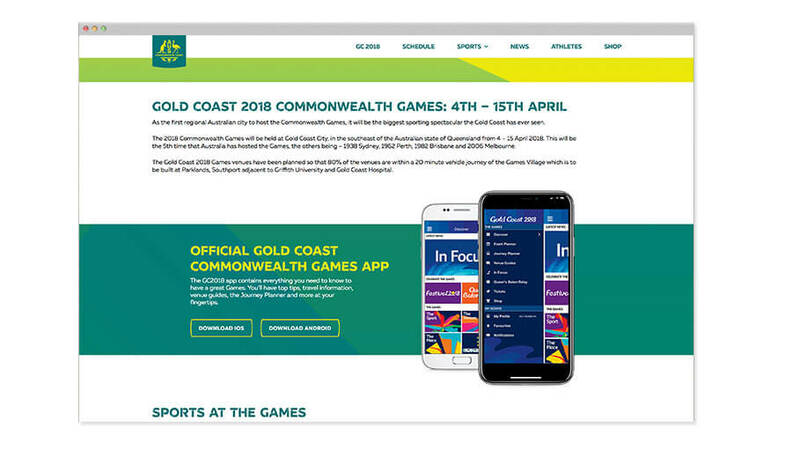 From this evaluation Digital Thing were engaged to re-design & develop the website ahead of the Gold Coast 2018 Commonwealth Games. Digital Thing custom-designed and built the website with WordPress. 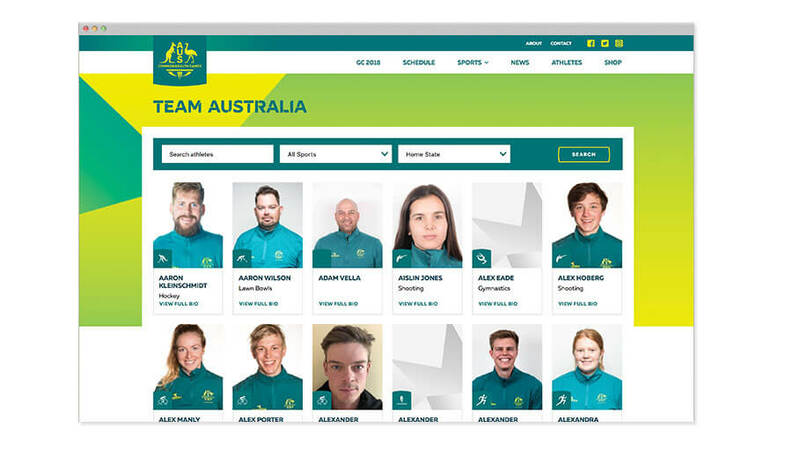 We stuck closely to CGA’s style guide for the design and kept the focus on the Australian athletes. 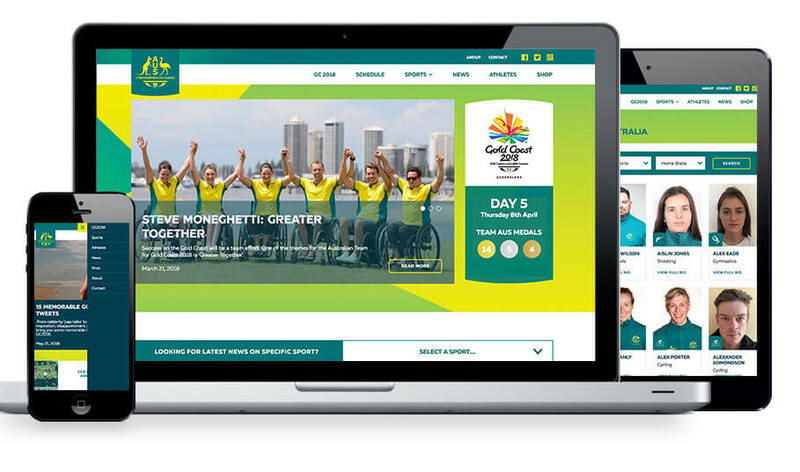 The website works across desktop, tablet and mobile devices using the responsive web design method. 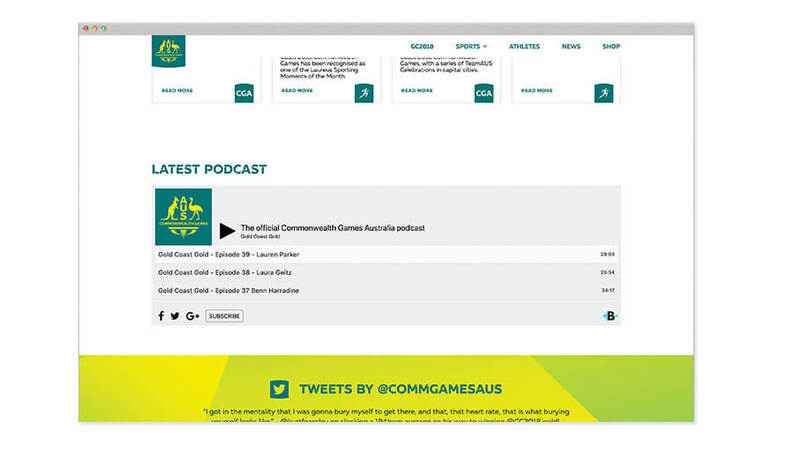 Digital Thing created the new site architecture so that it would focus on breaking content into sport specific areas. 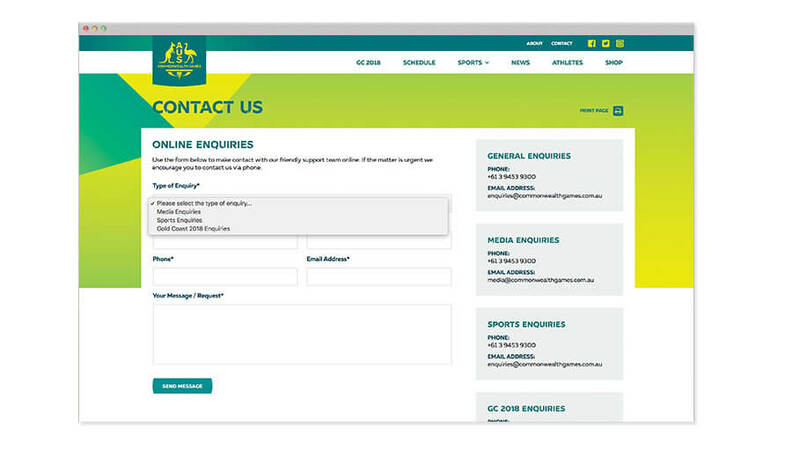 We also integrated the WordPress Content Management System into the site and highly customised the backend so CGA could tailor the content of each page. The new site proved to retain users with a significant decrease in ‘bounce rate’ and increase in ‘average time on site’. 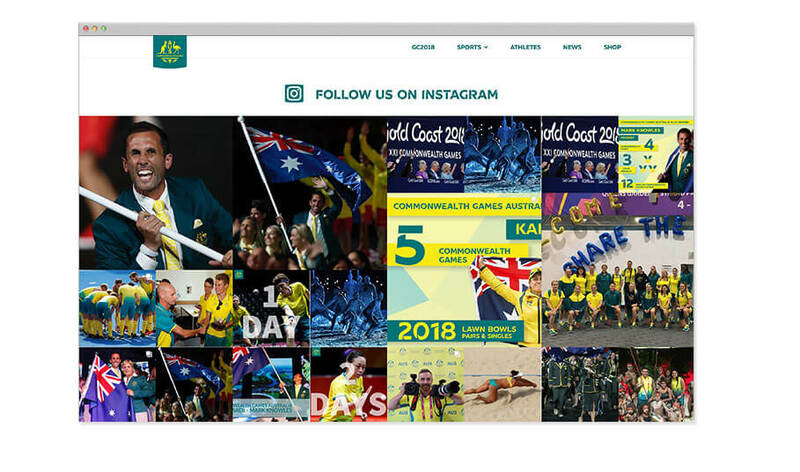 More importantly the site became easier for admins to manage internally considering the large scale of content being uploaded daily during the Commonwealth Games in 2018.